Cebu Pacific Air has called on Boholanos to join its training for would-be pilots through the airline’s $25-million Cadet Pilot Program which was launched last year. Charo Lagamon, Cebu Pacific corporate communications director, told local media Thursday that the program is now accepting applicants for a chance to be a pilot for the airline through a training program in Australia. According to Lagamon, they have been receiving applications from aspirants from across the country but so far, none were from Bohol. The program is offered through a “study now, pay later” scheme, said Lagamon. Cebu Pacific will initially shoulder the cost of the training, with payments amortized through salary deductions over a maximum period of 10 years. The accepted cadets will undergo a 52-week training with Flight Training Adelaide (FTA), an aviation school in Australia which Cebu Pacific has partnered with. The program is open to Filipinos who are college graduates, proficient in English and have passports valid for at least two years prior to the start of the program. Interested applicants can apply online through bit.ly/CebCadetPilots. This will start a three-step selection and screening process for the cadet aspirants. 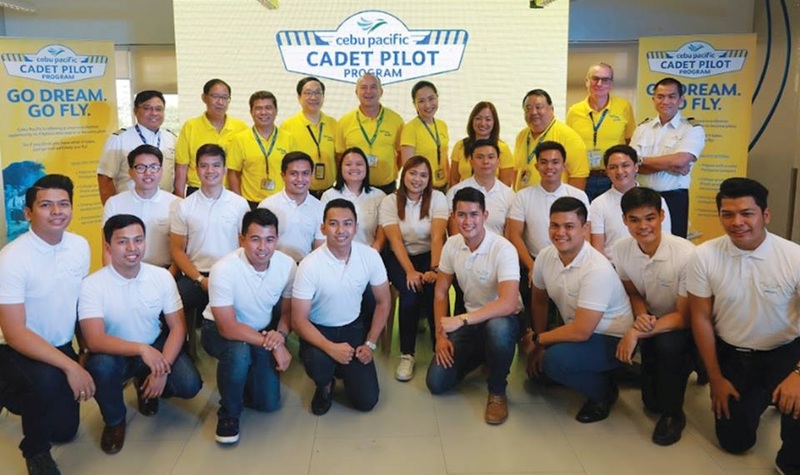 The Gokongwei-led Cebu Pacific launched the Cadet Pilot Program last year as part of its expansion program.